While the weather is finally starting to cool, dinosaurs are always cool and Field Station: Dinosaurs is set to reopen for another “Awesome Autumn” season! 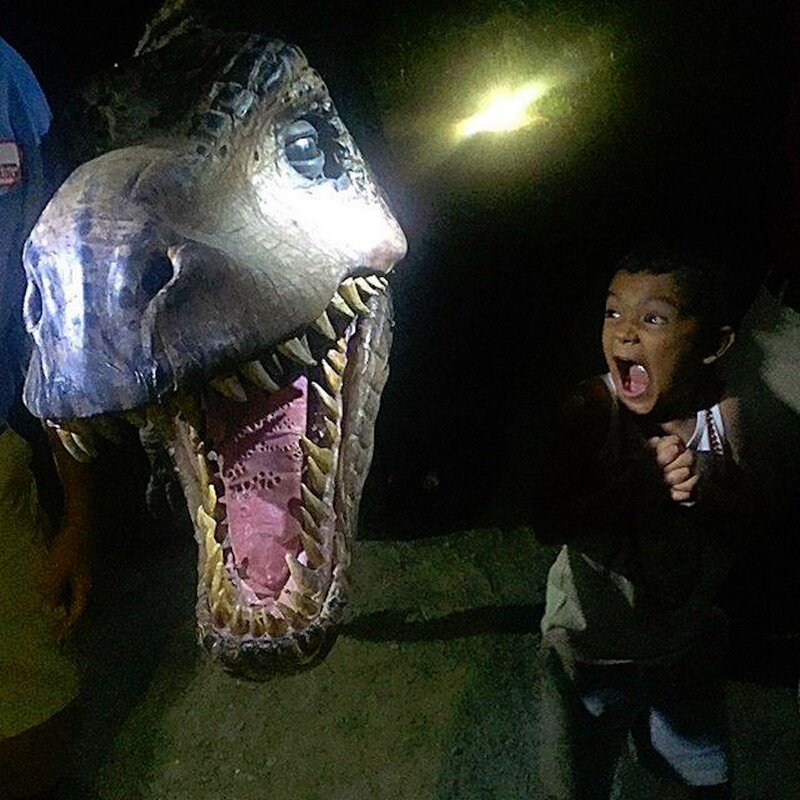 After a fantastic summer filled with exciting dinosaur activities, families can enjoy eight more weekends of entertaining and educational programming at the Field Station, including the return of the hugely popular, “Dinosaurs After Dark” experience. Located at Bergen County’s Overpeck Park in Leonia, New Jersey, the Field Station will be open on Saturdays and Sundays from September 22 through November 11, plus November 8 and 9. 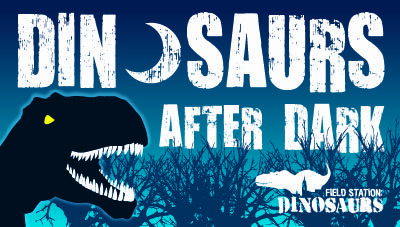 “Dinosaurs After Dark” takes place on Friday and Saturday evenings from September 28 through October 27. One of the most popular activities of the Autumn season is, “Dinosaurs After Dark,” a spooky, funny adventure into a shadowy, prehistoric world. When the sun goes down, it’s discovered that there’s a T-Rex on the loose! A fearless Dinosaur Wrangler will lead a Tyrannosaurus Hunt along the Field Station’s darkened trails. The Dinosaur Troubadour hosts the Crazy Cretaceous Costume Party, a musical puppet show where staff paleontologists use the scientific method to determine the scariest Halloween costume of all. The experience concludes with a dinosaur sing-a-long around a campfire with s’mores and hot chocolate! Reservations are recommended as space is limited. 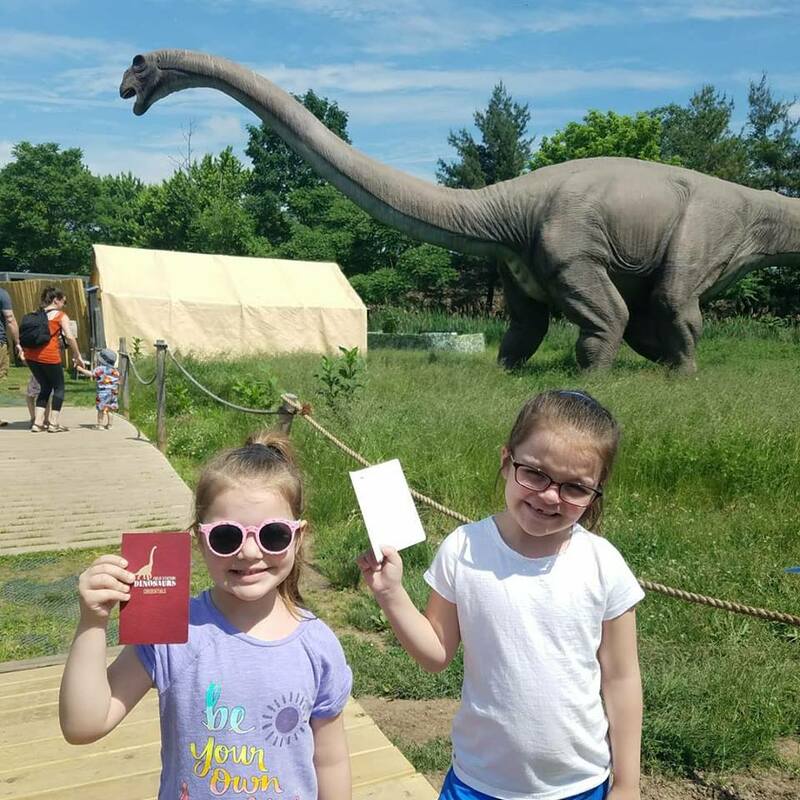 For those looking to do their exploring during the day, the Field Station will be open from 10:00 am to 5:00 pm on Saturdays and Sundays and there’s so much to capture any dinosaur lover’s imagination. 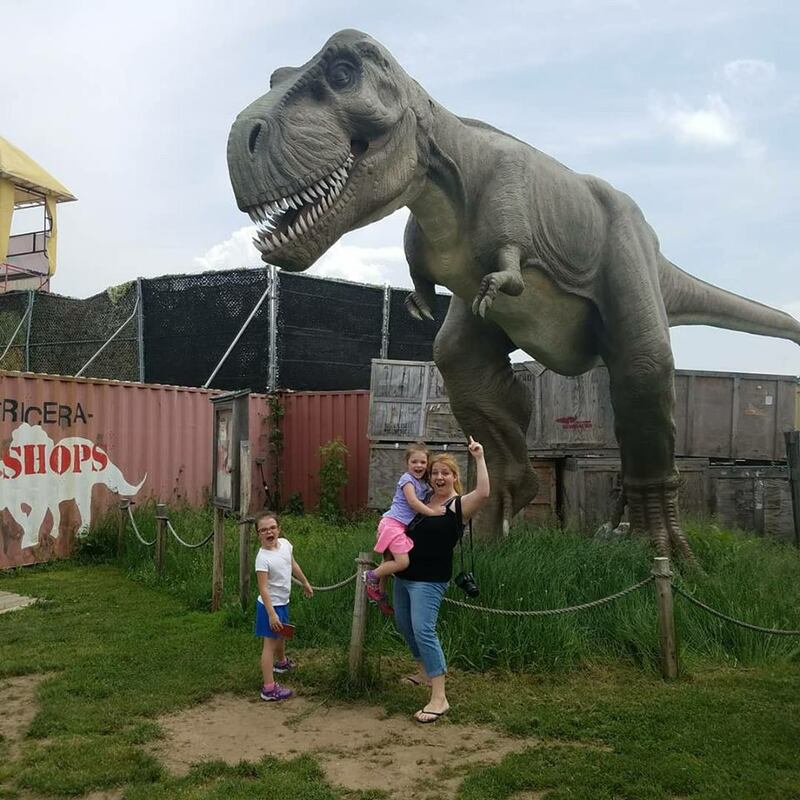 Trek along the trail and river walk and spot the brand new Spinosaurus as well as over 30 other incredible life-sized dinosaurs. Junior bone-hunters can stop by the Paleontologists’ Laboratory and dig for actual fossils at the Fossil Dig Site. Take in live shows including “T-Rex Feeding Frenzy” and “Dinosaur Daredevil! 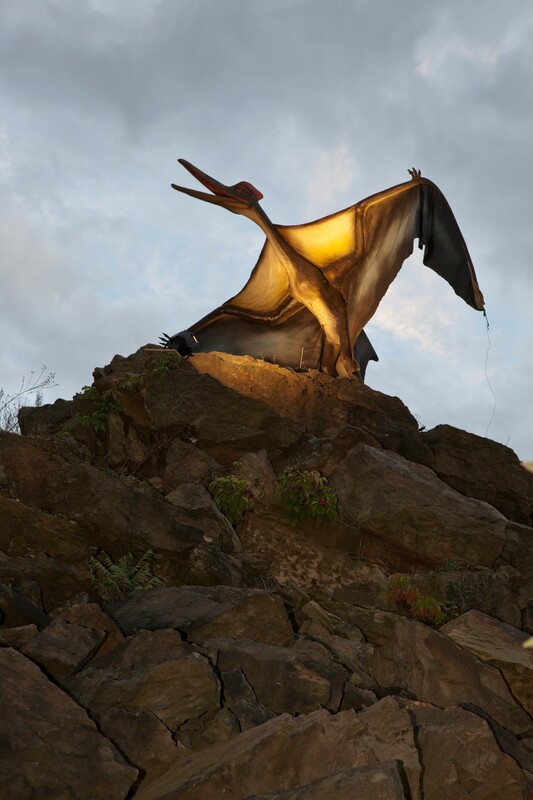 Archeopteryx Cleared For Take Off!” and maybe lead your team to victory in the “T-Rex Games.” The popular “Super Star of Science” program continues with special guest, paleontologist Jason Schein, opening the season on Saturday, September 22. For parents looking for a unique birthday idea, the IKEA® birthday tent right in the center of the park is available with treats provided by local bakery, Mr. Cupcake. Scout Day takes place on Saturday, October 6. Meet experts on topics ranging from bugs to camping to lizards and try out hands-on activities that are applicable to Brownie & Girl Scout badges, Cub Scout belt loops & Boy Scout merit badges. Participating scouts will earn a commemorative patch. Celebrate Halloween at the Field Station! On October 27 and 28, guests in costume are welcome to go trick or treating in the park. Schools looking for an exciting and memorable class trip where students can be entertained as well as educated can get special group rates on tickets. Regular hours for the Field Station will be from 10:00 am – 5:00 pm on Saturdays and Sundays starting September 22 through November 11 as well as November 8 & 9, with tickets starting at $15.50! 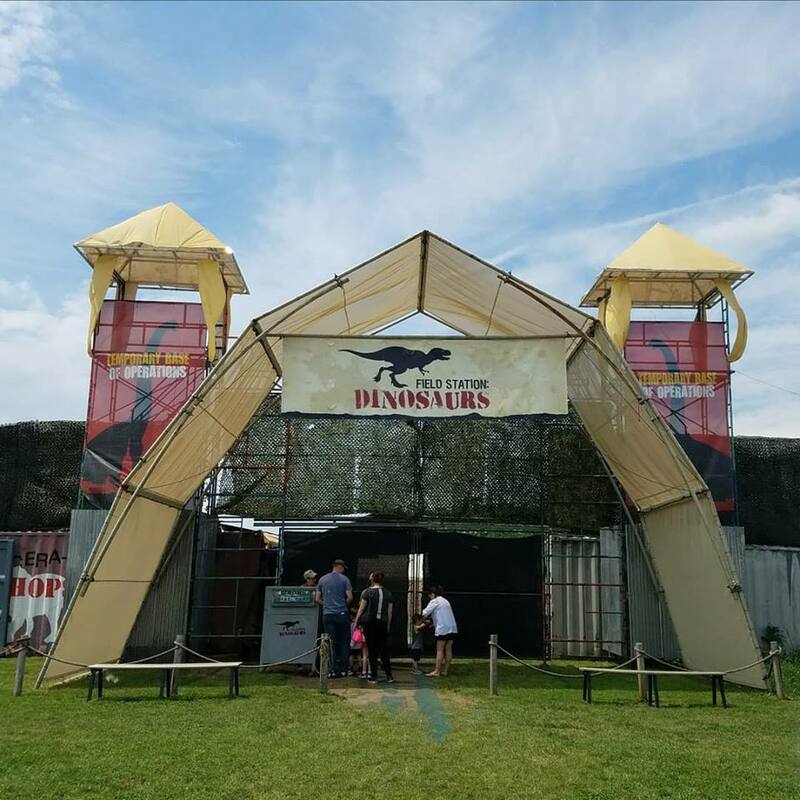 The “Dinosaurs After Dark” experience takes place on Friday and Saturday evenings from 7:00 pm to 9:30 pm and tickets for that are $24.00. Gates open at 6:45 pm. To purchase tickets call (855) 999-9010. For birthday parties and group info call (973) 748-4317. 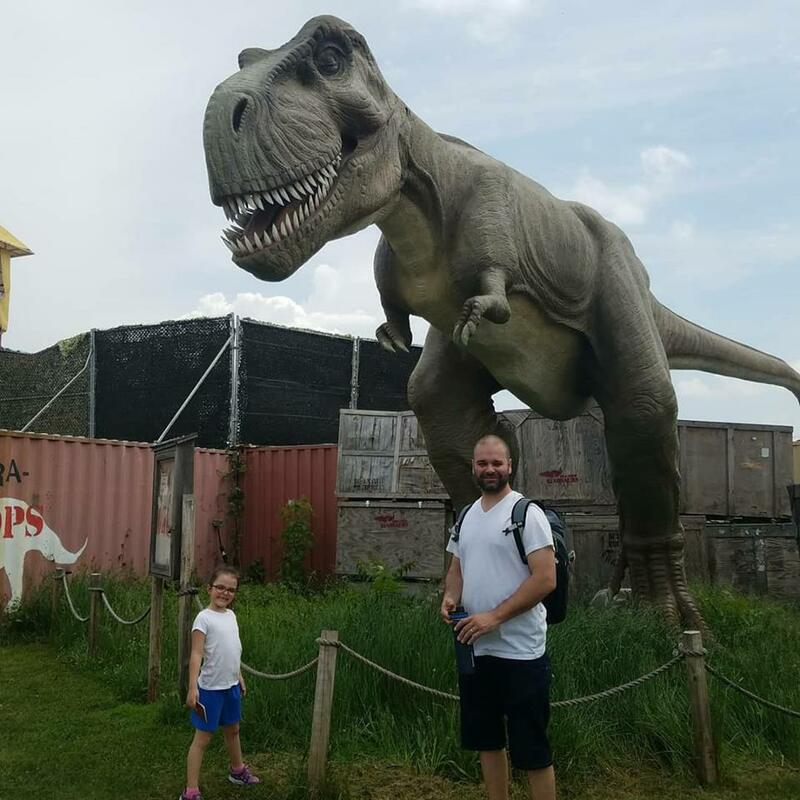 Field Station: Dinosaurs is a world-class family attraction that combines cutting-edge science with the creative minds of great artists and teachers to create a one-of-kind experience that’s thrilling, educational and fun. The Field Station is an oasis of natural wonder just minutes from New York City. Over thirty life-sized, realistic dinosaurs come to life thanks to the brilliant engineering of the world’s leading roboticists and the imagination of our artists. We highly recommend going with your family!